Do you know how we all have certain things we worry about, even though it makes no sense? Well, I’m about to share one of my silly worries that makes absolutely no sense whatsoever, but here it is…..
Usually (98% of the time), I walk directly to the post office whenever mailing anything important, such as a bill, because I want to make sure it gets to wherever it needs to be going as fast, safe, and efficiently as possible. And I do this for two reasons. One, because some months I have to wait until right before the due date and I don’t want it to be late. Yet, seeing how the mail system in this country has gradually turned into a hit or miss, there’s no telling WHEN or IF your mail will ever get to where it needs to go in a reasonable amount of time. But don’t you think it’s ironic how you always get your BILLS delivered to YOU on time? And my second (and most important) reason for doing this is that I’ve always had a ‘worry thing’ about using a street mailbox, because I mean come on…it’s right in the city street where any HEATHEN could easily reach inside by using a string and a piece of bubble gum to extract my bill from the box, and then throw it into a trash can so that it never gets to Chase Manhattan Bank. Whereupon, I’m charged a late fee. Just to be mean. I also worry that whenever I place a bill into a street mailbox it’s going to somehow get stuck midway going down the mail slot, never making it completely inside the box. So, I keep opening the door and peering inside; BANGING the mail slot several times, just to be sure it gets DOWN in there. People on the street must think I’m one of those crazy and colorful homeless characters with tourette syndrome, who enjoys being abusive to mailboxes. Another one of my concerns is that when the mail person comes to collect the contents in the mailbox, he or she will accidentally drop my bill on the ground and then someone will pick it up and find a way to CASH my check without any identification, and then use that money to pay one of THEIR bills. One of my other worries is that what if the mail person is suddenly MUGGED by a lunatic while collecting the mail, and then the lunatic uses my bill money to buy a couple grams of CRACK? The other 2% of the time, I WILL use a street mailbox to mail things, such as, greeting cards or letters, but even then I think about the above mentioned and WORRY. See! Didn’t I tell you that my worries make absolutely no sense whatsoever? But, I think if I lived in a place like Little House On The Prairie, I wouldn’t be as worried about using a street mailbox, because the people on Little House On The Prairie don’t even know what crime is. However, I live in Philadelphia, where crime is a fine art…. Now, don't think of yourself as wacko; I have done the "flip and check" thing mayself(OK, not flip,F & bang, but close. You are right about the unpredictable nature of street mailboxes. Most of the time, its fine. But, not is guarenteed. Several years back, I calmly sent a letter to a friend somewhere in France. I used the public mailbox here that is outside the P.O. A few weeks back, I get an answer and it was disturbing to read that she got my letter but, it was cringed and smelled of smoke. They had delivered it in a plastic pouch! There had been a nut that started a fire in the mailbox, and my letter just happened to be nicely waiting inside!! I became parano for awhile after that, taking the letter to the slot inside the P.O.. Then, it happened... the renovation. And no more inside box. It flipped me out at first and then, I started putting the letters again outside. But, I usally avoid letting letters sit all weekend, you never know!! I saw those things in New York. They're MAIL boxes? Ooooh I think I would share your anxiety if I had to use one. I presume you have seen pictures of our bright red pillar boxes? They look so much sturdier than your boxes. May I suggest you use glossy envelopes that gum won't stick to... just in case... grins. Enjoy your week. Good Morning Ronnie! Lol! This is absolutely a silly worry! I really dont think anyone is really out to get you to that extreme! And even is crime was THAT bad where you live what separates your mail from anyone else's is the street mailbox. I think the chances of getting your mail stolen as opposed to anyone else's by the means of string and bubble gum are about on par with winning the lottery. So basically you are safe. No need to worry! You are NOT insane, Ron! In the surburbs, we've been warned to not put our outgoing mail in our mailboxes (end of driveway) because identity thieves have been known to take bills you're paying, etc. and use the info, as well as rip off your credit card numbers. So....I began to drive to one of the street boxes shown in your post......but I too am paranoid that my bills will get stuck in some crevice down there and never make it on time to Chase! Scary to be so worried about late fees, but they are OUTRAGEOUS!!! I totally understand your worries. I am the biggest worrier as well. But I am changing and it feels sooooo good. And delish! Hahahahaha....see, I LIVE in Little House on the Prairie and I have the same freaking worries. Mine however, last about fifteen seconds and then I'm off to do whatever's in front of me. You forgot the one where the squirrel opens the mailbox, crawls inside and comes out the other end with my bill for nesting material. Wait......maybe that's one only us 'Little House on the Prairie' folks have? I open and close the mailbox a million times!! are you, um, kidding me? No, I see you are not. 2 words Benjamin: online bill pay! OK, I know that's 3 words, but it didn't make sense in the movie either when he said "plastics." But you get creative points for thinking of string and gum. You are so so funny! I might be going out on thin ice here, but my hypothesis is that this worrying might go hand in hand with the checking-to-see-if-the-door's-locked-habit.? 2nd cousin? Ha, and the Little House on the Prairie probably had Pony Express! I hate using those boxes, too...but for other reasons. I used to use one (only on occasion) not far from my house. I found out by reading the newspaper that the exact box I was using had not been picking up mail for months as it was taken off route but not removed, nor any notice posted! Fortunately, I had not placed anything in there during that time frame, so my mail wasn't lost. teehee, my friend, only teasing! Funny story....Ron was running errands one time and mistakenly put his pay check into the mail box. Can you imagine that feeling to be standing there holding the bills that were supposed to go into the box and realizing what needed to go into the bank asap was now sitting in a box on the street. Luckily, he was able to get someone from the post office to get it out. I have seen mail collected from the street boxes and occasionally I see them use a little rake type thing to check inside for stuck mail. Your worry seems completely logical to me! And now I am going to be too worried to use a public mailbox! Hey, Ron, this is a funny post. I don't blame you for going to the post office. I find I am more distrustful of certain mail boxes, not all of them. I'll see one sitting on a deserted street and think that no one ever comes this way, not even the mailman and my letters will turn into the Dead Sea Scrolls before anybody ever picks them up. But you are so right--the bills will always find their way to you, even if you're living in a tree house! Have a great week, buddy! "Now, don't think of yourself as wacko; I have done the "flip and check" thing mayself(OK, not flip,F & bang, but close. You are right about the unpredictable nature of street mailboxes. Most of the time, its fine. But, not is guarenteed." THANK YOU!!!! At least now, I know I'm not the ONLY person on this planet who thinks this way! OH. MY GOD. I CANNOT believe you just said that because that's EXACTLY (in the back of my mind) what I've always thought COULD happen. I kid you not! I've also thought about people pouring a cup of coffee or a coke inside the mailbox, just to be mean. "I became parano for awhile after that, taking the letter to the slot inside the P.O.."
I don't blame you, Barb! Most of the time I do that myself. Thanks so much for stopping by, my friend. Your comment made me feel more NORMAL! I don't think you are weird. I even feel weird using the mailboxes posted outside the post office. I like making sure it is INSIDE the actual post office. There's also the possibility that you'd get one of those postal employees who doesn't finish their route and hoardes bags and bags of mail in their attic and no one finds them until they die! I SWEAR that check was in the mail!!! Or my mail would be in one of those mail trucks that ends up in an accident and my bills I'm trying to pay would be flying all over the highway or the truck would catch fire and burn up with my stuff inside! See I have weird crazy thoughts about all that too! I told you we were separated at birth! Yes, these type mailboxes are in New York as well. "I presume you have seen pictures of our bright red pillar boxes? They look so much sturdier than your boxes." Yes, I have seen photos of your bright red pillar boxes and they look a hell of a lot more sturdier than ours. Your's look like they're made out of cast iron. And they're so CUTE-looking! So are your phone booths! "May I suggest you use glossy envelopes that gum won't stick to... just in case... grins"
Bwhahahahahahahahahaha! BRILLIANT, dear lady! And thank you! Have a flawless week! And thanks so much for stopping by! "I can understand your concerns Ron. Much better to go straight to the Post Office then cross your fingers anyway." HA! Thank you, m'dear! I agree! Have a wonderful week. And much thanks for stopping by!
" I think the chances of getting your mail stolen as opposed to anyone else's by the means of string and bubble gum are about on par with winning the lottery. So basically you are safe. No need to worry!" Bwhahahahahahahahaha! Yup, I think you're absolutely right! Thanks so much for stopping by, my friend. And thanks for the morning laugh! "In the surburbs, we've been warned to not put our outgoing mail in our mailboxes (end of driveway) because identity thieves have been known to take bills you're paying, etc. and use the info, as well as rip off your credit card numbers." HOLY COW....I never even thought identiy thieft, but you're right!!!! I remember when I was a kid and my parents would place their outgoing mail right into our mailbox at the end of the driveway without care in the world. "......but I too am paranoid that my bills will get stuck in some crevice down there and never make it on time to Chase! Scary to be so worried about late fees, but they are OUTRAGEOUS!!!" Aren't the late fees OUTRAGEOUS?? My one credit card charges almost $40.00 for their late fee! "And now the USPS is creating more anguish by threatening to shut down, etc. We are going to be forced to pay our bills ONLINE RON! Which I'm sure is going to bring a whole new set of cyberspace worries......"
Yes, I have heard that! In fact, little by little all the post offices are closing here in Philly. I've never paid my bills online and am NOT looking forward to it because of the cyberspace worries - UGH! Oh, well...I think eventually it's going to be the ONLY way to pay bills, so I better get use to it. Thanks so much for stopping and sharing on this post, dear lady. I don't feel so INSANE now - HA! P.S. hope all is going well with your house.
" I am the biggest worrier as well. But I am changing and it feels sooooo good. And delish!" Good for you, beautiful lady. And I think I'll take your advice! Thanks so much for stopping by. Wishing you a gorgeous week! "Hahahahaha....see, I LIVE in Little House on the Prairie and I have the same freaking worries." "You forgot the one where the squirrel opens the mailbox, crawls inside and comes out the other end with my bill for nesting material. Wait......maybe that's one only us 'Little House on the Prairie' folks have?" Bwhahahahahahahhhahahaha! OMG, that was HILARIOUS, Mel!!!!! Thanks for stopping by this morning and for the GREAT Monday morning laugh! "Your worry seems completely logical to me! And now I am going to be too worried to use a public mailbox!" Thank you. I feel so much better that you confirmed the logic in my worry! We 'Libra's' have to stick together! Thanks so much for stopping by, girl. Have great week! "My thing is that the box will be plowed into by a car and my mail will be attached to a DOA and end up in an autopsy room." Bwhahahahahahhahahahaha! OMG, I wish you could see me laughing at that because I just fell off my chair! HILARIOUS! And I'm glad to hear that you also open and close the mailbox a millions times, like me. Yes, we're losing A LOT of our mailboxes here in Philly too. But, we're also losing quite a few of our post offices. One by one, they seem to be closing down. And like Bijoux said, eventually we'll have to pay our bills online. being from NY I have never believed this to be true so I go to the post office most times and put it in the slot, then I peer into the slot to try and see if it made it all the way down." You GO, dear lady! I think those of us who live in cities understand this caution. "my son told me I should deliver it to Chase Manhattan, Iowa myself, it would be less stressful"
Thanks so much for stopping by and for the great Monday morning laughs. Love you! "are you, um, kidding me? No, I see you are not." Aren't I NUT case? My paranoid imagination goes WILD sometimes. "2 words Benjamin: online bill pay! OK, I know that's 3 words, but it didn't make sense in the movie either when he said "plastics." HAHAHAHAHAHAHAHAHAHA! Diane, I LOVE that! I didn't think anyone else remembered that commercial! And you're right, online bill paying is going to be the only way to go eventually. But then, that brings me a whole NEW set of worries - HA!
" I might be going out on thin ice here, but my hypothesis is that this worrying might go hand in hand with the checking-to-see-if-the-door's-locked-habit.? 2nd cousin?" Bwhahahahahahahahhahaaha! TOUCHE' girl! You're right! Thanks so much for stopping by this morning. Always a delight to read your comments, dear friend. "Ha, and the Little House on the Prairie probably had Pony Express!" "I found out by reading the newspaper that the exact box I was using had not been picking up mail for months as it was taken off route but not removed, nor any notice posted! Fortunately, I had not placed anything in there during that time frame, so my mail wasn't lost." OMG, you're kidding????? How horrible for those who had mail in that box. I hope the postal service reinbursed all the late fees that people had to pay on their bills. I'm so happy to hear you hadn't used that mailbox - whew! 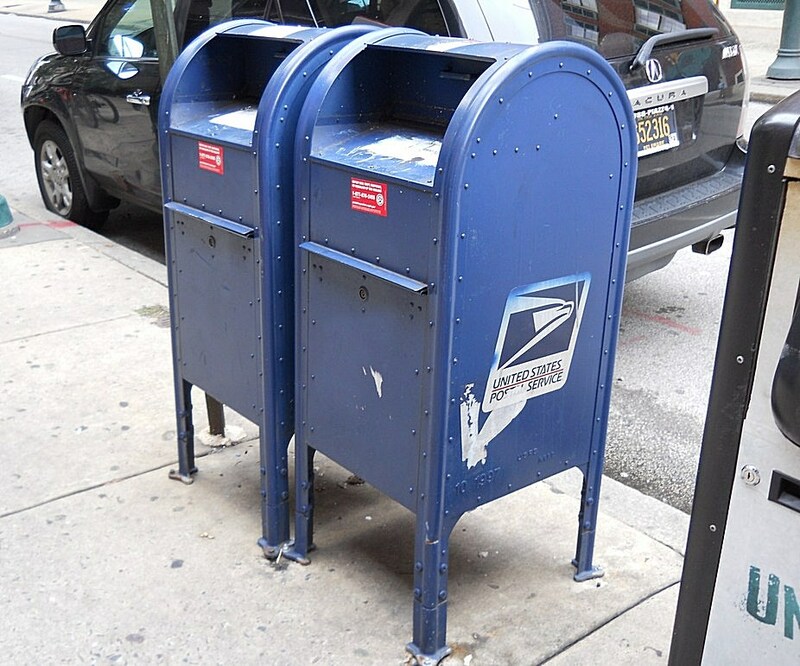 More and more of the mailboxes are being removed here in Philly too. "I think it's time to check your medication dosages. I'm sure something needs tweaking. ;)"
OMG, how funny! And I think you're absolutely right! "you didn't put one of MY CARDS into the mail box, did you???? OH the horror! One could be stuck in there right now... never to see the light of day again! Never to be held by loving hands EVER again......."
HA! No, no....I haven't even sent one of your gorgeous cards in the mail yet. I'm holding off on doing so because I actually think I want to frame them instead of using them as greeting cards. I LOVE THEM!! "Funny story....Ron was running errands one time and mistakenly put his pay check into the mail box. Can you imagine that feeling to be standing there holding the bills that were supposed to go into the box and realizing what needed to go into the bank asap was now sitting in a box on the street. Luckily, he was able to get someone from the post office to get it out." YIKES! I am sooooooooooo glad to hear he was able to get someone from the post office to get it out. But you know something? I've almost accidentally placed something inside a mailbox that was not intended to go there myself. So, I can see how that COULD happen. "You could always do your banking and bill paying online. We don't, but some that I know who do say it's quite easy. However, I think that would come with a whole different set of worries." Yup, I think eventually (with mailboxes and post offices closing down) that's going to be the ONLY way to pay bills. Even the company who cuts my paychecks, wants us to do everything online to save paper. Thanks for stopping by, neighbor! Always FAB to see ya! Have a grrrrrrrrrrreat week! kkkk.... you know i live in the boonies with few neighbors and none i can really see except they're very far down the hill....and i do the same damn thing and i CAN SEE IT LAYING THERE....now THAT's insane!!
" I don't blame you for going to the post office. I find I am more distrustful of certain mail boxes, not all of them." HA! I kinda thought you would understand what I meant about my street mailbox worry because you live in a city like me!!!! "I'll see one sitting on a deserted street and think that no one ever comes this way, not even the mailman and my letters will turn into the Dead Sea Scrolls before anybody ever picks them up." Bwhhaahahahahahhahahahahahaha! HYSTERICAL, Rob!!!! And I know what you mean because I've spotted mailboxes on deserted streets and have thought the same thing. Luckily, the one by house (which is in the photo) is in a very busy area, so I will ocassionally use it. Always so great to read your comments, buddy. Thanks so much for stopping by. "I don't think you are weird. I even feel weird using the mailboxes posted outside the post office. I like making sure it is INSIDE the actual post office." Thank you!!!! I feel the same way! And it's funny, because I can't understand WHY someone would used a mailbox directly outside a post office, when they can just as easily walking INTO the post office and mail it direct!?!? "There's also the possibility that you'd get one of those postal employees who doesn't finish their route and hoardes bags and bags of mail in their attic and no one finds them until they die! I SWEAR that check was in the mail!!!" Bwhahahahahhahahahahahahaha! Peg, that made me HOWL! How hilarious! "See I have weird crazy thoughts about all that too! I told you we were separated at birth!" Thank you, dear twin. You made me feel 100% better about my worries! Always fab to see you. Thanks so much for stopping by and have maaaaaavalous week! "you know i live in the boonies with few neighbors and none i can really see except they're very far down the hill....and i do the same damn thing and i CAN SEE IT LAYING THERE....now THAT's insane!!" Bwhahahahahhahahahahaaha! OMG, I am sooooooooooooo happy to hear that I'm not the ONLY one who has this worry! Aren't we INSANE???? "i solved the problem...i stopped paying my bills and using the mail for anything except mags! ;) serves them right for making me insane.... "
Bwhahahahahahhhahahahaha! You GO, girl! I think I need to try that! Thanks so much for stopping by, Linda. And thanks for the great morning laughs! P.S. hope all is going well with your vineyards. This sounds like a REALLY fun night with the girlfriend!! :)"
Bwhahahahahahahahahahaha! OMG, you ALWAYS crack me the hell up!!! "Three words for you, Ron: Online. Bill. Pay. The chances of anybody tying a string around a piece of bubblegum and infiltrating your electronic account are slim to none, my friend. Try it out. And by the way, welcome to the 21st century." You're right. And with the mail system deteriorating as it is, I think it's going to eventually be the ONLY way to go! Welcome to the 21st century, Ron! Thanks for stopping by, buddy! Have supa' week! I have to say that your mail boxes don't look too secure to me. I would be nervous of all the things you mention too. Our post boxes are as tall as us (Well me anyway) with a small slit in the top. No way anyone could get their hand in the slit. I've solved all of those problems by paying all of my bills either by direct debit, or online. Then you can pay them exactly when you want to. I haven't used a cheque book for many years. "I have to say that your mail boxes don't look too secure to me. I would be nervous of all the things you mention too." I know, they kinda look like a tin can, don't they? I've seen photos of the mailboxes you have in most of Europe and they're like the old time (REALLY secure) boxes we use to have here in the 30's and 40's. Yup, I really need to get with the program and try paying my bills online. The direct debit I'm a bit leary about because I don't always have the money in my checking account until the last minute. I barely use checks anymore myself. I think I write maybe three a month. Thanks for stopping by, my friend. Hope you had a great Monday! Enjoy the rest of your week! you are one crazy guy, i mean i still love you, but worry not my friend. did you know i used to throw trash in the mailbox when i was a kid. we still have mailboxes? i haven't used one in years. i always mail my stuff from work and we pay someone to take our mail to the post office. yet, sometimes i do worry about my mail, i don't pay bills by mail. i do that online now. if i'm sending a box i track it like a mother mother. i make sure i get delivery confirmation. i sleep better. the thing about mailboxes is i wonder if the postal carrier picks up the mail out of the box at all. i think mail boxes are so obsolete when i happen to see one, it looks like a black hole and i'm positive the mail in that box, if any, will not be delivered. mailboxes are so old to me i can't imagine people still use them. "you are one crazy guy, i mean i still love you, but worry not my friend." HA! Aren't I CRRRRRRRRRRRAZY??? And thank you for loving me inspite of it. "did you know i used to throw trash in the mailbox when i was a kid." OMG...how EVIL!!!!! But hey, I did much worse things when I was a kid. MUCH worse - tee, hee!
" i haven't used one in years. i always mail my stuff from work and we pay someone to take our mail to the post office." Oh how lucky you are, that's wonderful! Yeah, I think eventually I'm going to have to get with the program and start paying my bills online, like most everyone else.
" i think mail boxes are so obsolete when i happen to see one, it looks like a black hole and i'm positive the mail in that box, if any, will not be delivered. mailboxes are so old to me i can't imagine people still use them." I think mailboxes are more prominent in cities for convenience. It makes it easier to use a mailbox than have to walk to a post office. However, I have one just few blocks from my apartment, so I usually just mail my stuff from there. And I have seen mail carriers pick up the mail inside the mailboxes, so I know that there being taken care of, but I'm still not thrilled about using them. Thanks so much for stopping by, girl! Always a delight to see your comments. Hope you had a marvi Monday! "I'm the same way, but I open and close the mailbox several times just to make sure the envelope did, indeed, fall into dark belly of the metal beast. Call me paranoid...."
Meeeeeeeeee too! So, call me paranoid too!!!! So glad to know I'm not alone in this worry. Thanks a bunch for stopping by, buddy! Hope you had a fantastic Monday. Enjoy your week! "I do all my bill payment online and if I have to mail something like a package, I take it to the post office." OMG, am I the ONLY person on this planet who DOESN'T do their bill payments online?!?!!? I feel like a FREAK - HA! But, it's good to know that you're also paranoid about using a street mailbox. There are a few of us here - Yiiiiiiipppeeeee! Thanks a lot for stopping by, girl. Hope your Monday was magnificent! Of course you already know that I do the same thing. A little obsessive-compulsive, are we?? "Of course you already know that I do the same thing. A little obsessive-compulsive, are we??" P.S. say Woof and Meow to the gang for me! omg. I have this idea that people slide dead things like cats they can't bury or birds off the side walk or spoiled meat and hypodermic needles and dog poop and dirty bandaids and serial killers cut up people and put dismembered body parts in mail boxes. ...Enjoy the rest o' your week my friend! "I have this idea that people slide dead things like cats they can't bury or birds off the side walk or spoiled meat and hypodermic needles and dog poop and dirty bandaids and serial killers cut up people and put dismembered body parts in mail boxes." Bwhahahahahhhaahahhahaahaha! Lora, that was BRILLIANT!!!!! And you know what? I bet you're right too! Thanks for stopping by, my Philly friend. Glad to hear I'm not the only one afraid! Head down to the post office if you come across one on your way to work. Or, do it all online through your bank. Canada Post has a service where all your billing needs will be handled via their epost service - making you go totally paperless. I know I know... you don't like paperless. I didn't either and I did comment in your favour some time ago. But things change and I have to move on ! OMG...I was just thinking of you yesterday and missing your posts. Then, I saw on my reader this morning that you had posted - YAY! I'll be by later! "We have the ones where there's a slot and you just slide the envelope in there, it makes me feel safer anyway." Yes, I've seen those type mailboxes too and they DO seem to safer because it's just a narrow slot. "I've seen people stop and throw trash into the ones you have pictured and I don't like that either. The thought of my payment getting soaked by yesterday's chili dog isn't doing my mailbox OCD any favors! *giggle* "
Me too! I'm SO OCD!!!! 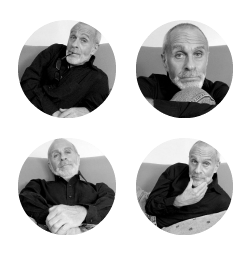 "...So funny to think that nowadays there are cameras everywhere taping everything everybody does, and I'm certain there's a video or two or three of you opening & closing a mailbox door repeatedly along the streets of Philly. hee,hee,hee :"
Bwhahahahahahhaaahaha! OMG, I NEVER thought of that, but you're right. I bet they DO have me on video and thinking, "Who the hell is this character???" And funny you mentioned cameras because Philly has started doing that because of the crime (the flash mobs). Thanks so much for stopping by, dear lady. Hope all is well and that you're enjoying this Fall season. Have a great week! "Canada Post has a service where all your billing needs will be handled via their epost service - making you go totally paperless." I know, I know....I really DO need to start going paperless, you're right. Not only for bill payments, but also my paychecks which are direct deposit. "But things change and I have to move on !" Thanks so much for stopping by and for sharing your advice, bud! Hope you're having a great week! I'm the same way. Half the time I go to the post office and mail the letter inside or at least put it in the box outside the post office. I think the same things. It will get dropped or stuck or something. Sometimes I wonder how I make it through everyday. "I think the same things. It will get dropped or stuck or something. Sometimes I wonder how I make it through everyday." Isn't it fun being a worrywart? HA! Thanks for stopping by, my friend! Hope you're having a great week! Ron, I loved this post!!! In the suburbs, when I have to use the mailbox, I always use one directly outside of the post office. Otherwise, if I use one on a little side street somewhere, I worry that no mail carrier has bothered to go down that street to check it in 5 years. Happy Tuesday! It's funny, because when I lived in burbs I never worried about using a street mailbox. But, living a city is totally different. "Otherwise, if I use one on a little side street somewhere, I worry that no mail carrier has bothered to go down that street to check it in 5 years." Yes, so many others have shared that same thing! Fortuntely, I do see the carries picking up the mail in the box close to my apartment, so I know the postal service is using it. My problem, is that I worry about the carriers getting MUGGED - HA! Thank you so much for stopping by. Have a faaaaaabulous week! i know this isn't going to comfort or help you deal with your fear of mailboxes... but things are not that much safer in the post office. i worked for the post office years ago. stuff falls behind tables and gets chewed up by stamp canceling machines. for a while there were a lot of stamp canceler fatalities, so we had a special rubber stamp for the things the stamp canceler ate. it said (and i kid you not) 'received in this condition'. we had to tape the bits together as best as we could, then rubber stamp this message on it, and get the postmaster to sign the envelope. then we just sent it on to its destination. and every now and then, when someone thought of it, we'd pull the sorting table out from the wall and retrieve the letters that had fallen down the crack. could be once a month, or less often if we were really busy (or lazy) anything run by people is subject to human frailty, sadly, so there's no guarantee that your letters are safe anywhere..... best thing is to try not to take any of it too seriously, luv. So nice to see you! Thanks for stopping by! "for a while there were a lot of stamp canceler fatalities, so we had a special rubber stamp for the things the stamp canceler ate. it said (and i kid you not) 'received in this condition'. we had to tape the bits together as best as we could, then rubber stamp this message on it, and get the postmaster to sign the envelope. then we just sent it on to its destination." OH. MY. GOD.!!!!! And yes, I can just imagine the mishaps that occur within the actual post office too. And the sad part about it is that they keep laying people off, so more and more of the work is being placed on fewer employees. "anything run by people is subject to human frailty, sadly, so there's no guarantee that your letters are safe anywhere..... best thing is to try not to take any of it too seriously." You're right, anything run by people is subject to human frailty. Even in my busy things happen. Thanks so much for stopping by and sharing your first-hand experience, dear lady! Muchly appreciated! Ok, that is my last chuckle before going to bed. I have been reading the Little House on the Prairie series with my girls now for about a year, and yeah, there isn't much crime. Its the plagues of grasshoppers, cyclones or storms that steal time, food and money from them. Not hopped-up glue heads pocketing their precious sewing needles to sell for their next dime bags. If it makes you feel any better, I usually check the slot at least once myself though. You rock Ron! Tee, hee...aren't I silly and OVERLY paranoid man??? "I have been reading the Little House on the Prairie series with my girls now for about a year, and yeah, there isn't much crime. Its the plagues of grasshoppers, cyclones or storms that steal time, food and money from them. Not hopped-up glue heads pocketing their precious sewing needles to sell for their next dime bags." Bwhahahahahahhahahahahahaha! OMG...that made me HOWL!!!!! HILARIOUS! Thanks so much for stopping by, my friend. And thanks for GREAT morning laugh!